Tired of always stir frying those asian greens in your CSA? Cook pasta to al dente in salted water. When pasta almost done done, melt butter in a skillet. Add chopped green onions. Swirl the butter in the pan as it foams. (At this point, remove pasta from the heat and drain well in a colander.) 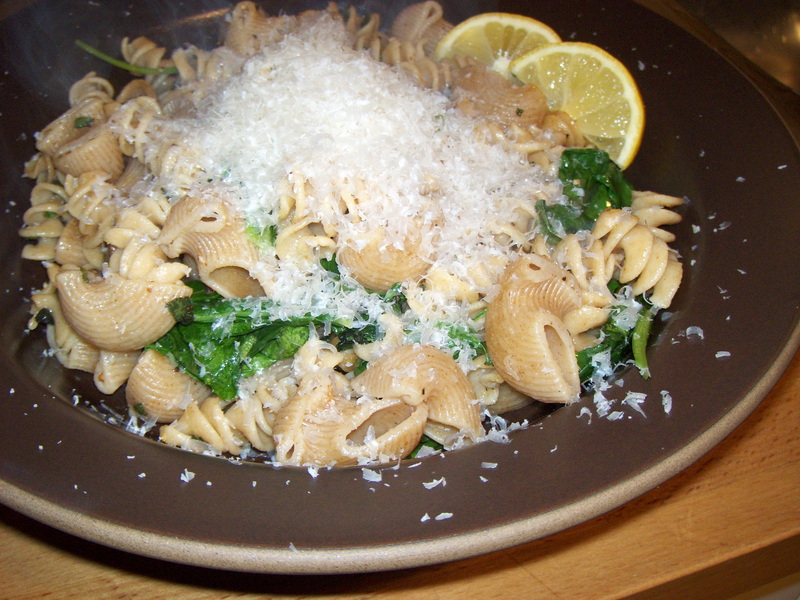 When butter begins to brown, toss in pasta and mix to coat with butter. Salt and pepper to taste. Add tatsoi and sage and cook until slightly wilted, about 1 to 2 minutes. Plate and serve immediately with grated parmesan and lemon wedges on the side. Here is a great page on the California Avocado Commission website for identifying and getting descriptions for all the avocados we make available to you throughout the year. Early spring is when broccoli is at it’s best. These young shoots are great however you cook them. Lightly Saute with garlic lemon and butter until they turn that fluorescent green color. Just a note about the pink lemons, They taste and act just like regular lemons. Do not be afraid to substitute them for regular lemons in any recipe. Also, although the flesh is pink, the juice is clear. No, these are not where pink lemonade comes from. I wish it were true, but it is not. Pink lemonade comes from food coloring! Enjoy your box of food this week.